Viola D. is self-publishing a book with Outskirts Press, and she wants your help deciding her upcoming book cover. In many cultures, girls are engaged in early childhood to a future husband chosen by their relatives. This is the story of one such girl, who at the age of 16 found her dreams and desires cut short by a fate handed down by tradition. Mistreated, discriminated against, and a victim of the worst habits and customs of the older generations, she can endure no more. But will she find a way to stop the violence, fight for her freedom, and dare to dream beautiful dreams? 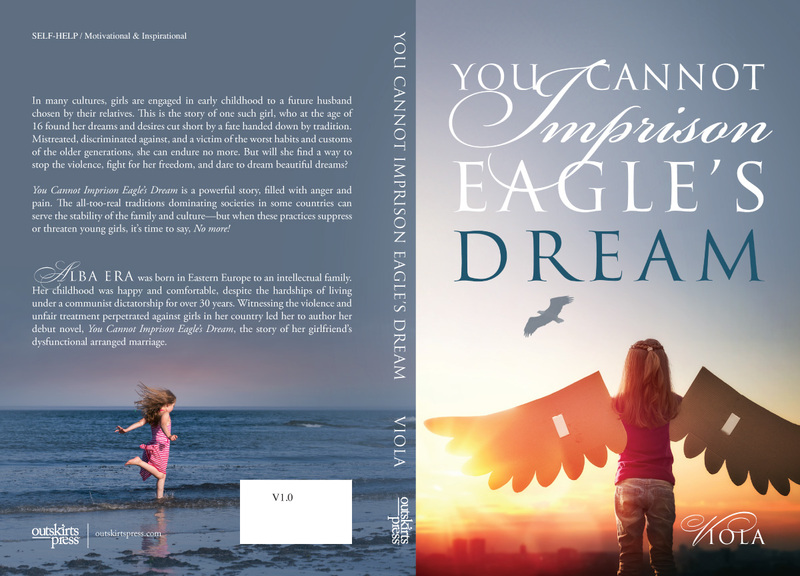 You Cannot Imprison Eagle’s Dream is a powerful story, filled with anger and pain. The all-too-real traditions dominating societies in some countries can serve the stability of the family and culture—but when these practices suppress or threaten young girls, it’s time to say, No more! Viola D. was born in Eastern Europe to an intellectual family. Her childhood was happy and comfortable, despite the hardships of living under a communist dictatorship for over 30 years. 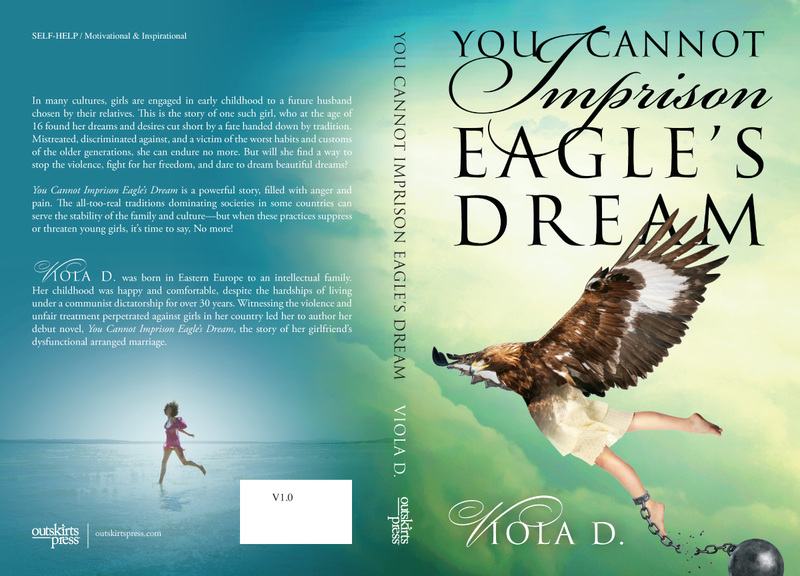 Witnessing the violence and unfair treatment perpetrated against girls in her country led her to author her debut novel, You Cannot Imprison Eagle’s Dream, the story of her girlfriend’s dysfunctional arranged marriage. Thank you for selecting a cover option.